Adorable photos have emerged of a baby koala cuddling up to a fluffy toy that comforts him whenever he misses his mother. 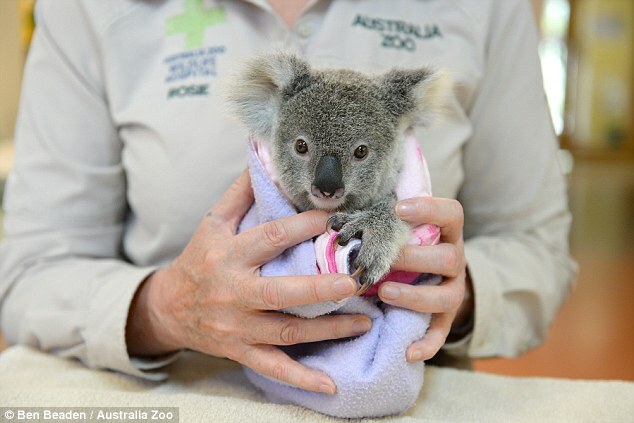 The koala named Shayne was found by rescuers 20 metres away from his dead mother after the pair were hit by a car. Shayne, who was found clinging onto his mother, survived the accident but she died. And now a fluffy toy is helping him recover from his terrifying ordeal. 'It’s very fortunate that we had an observant rescuer who found Shayne and brought him into us because he wouldn’t have lasted even a day in the wild by himself at his young age—now he gets a second chance at life,' said Dr Rosie Booth, Australia Wildlife Hospital Director. It would have been easy to miss Shayne as he had begun to crawl away from his mother, but luckily the rescuer noticed the mother was lactating and went searching for her joey. At the moment Shayne gets around-the-clock care from a dedicated wildlife carer who feeds and comforts him. But soon it'll be time for him to be released. 'Once he is of acceptable weaning age and weight, Shayne will return to the Australia Zoo Wildlife Hospital to learn essential climbing and social skills from other young koalas before being released to the wild,' the statement said. 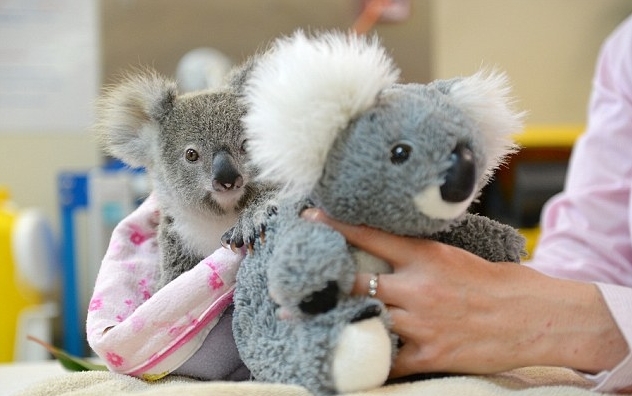 Responses to "Orphaned Baby Koala Cuddles Up To A Toy Whenever He Misses Her Mother"